Assuit Crossbody Bag — We made this bag from a piece of antique assuit fabric from Egypt, circa 1920... we backed it, put it on a base of soft chestnut suede and added Edwardian silver fringe... It's lovely, we would love to keep it but that wouldn't be fair to you. 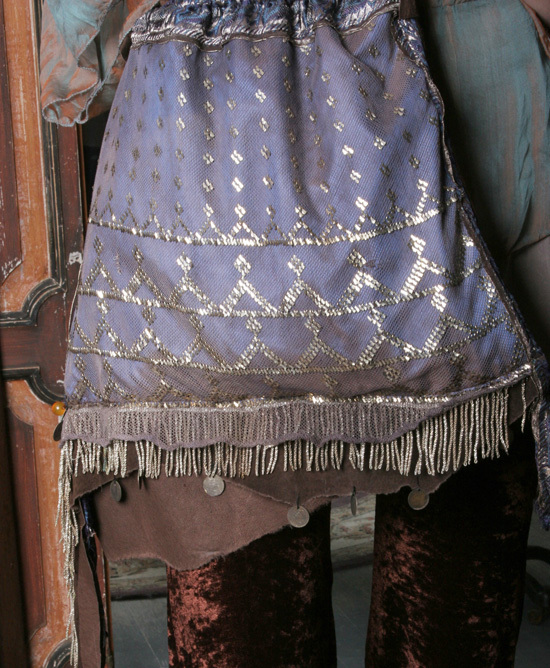 One of a kind Assuit Bag.